As popular as Thai cuisine is in India, most restaurants in Delhi either serve an Indianised version of Thai dishes or overload them with coconut cream/milk. Neung Roi at Radisson Blu Plaza, Mahipulpar is a welcome change though. “Neung Roi means 100 in Thai and has been named after the 100 degree East longitude, which runs through Thailand. Neung Roi celebrates the cuisines from across the length and breadth of Thailand…” reveals the menu very aptly. So what you will find in this restaurant is a taste of regional Thai cuisine from Isan, Lanna, Southern Thailand and Central Thailand. Chef Yenjai Suthiwaja, who hails from Phuket, learnt most of her cooking from her mum, as she started cooking with her when she was just six years old! And now she is proud to run this kitchen “like a mum” - where the love for traditional recipes and authentic ingredients supersedes everything else. Chef even discloses that she signed her contract with the hotel to open their Thai restaurant only when the management agreed to honour her request of using authentic Thai ingredients. “Substituting other ingredients changes the flavours,” she emphasises. 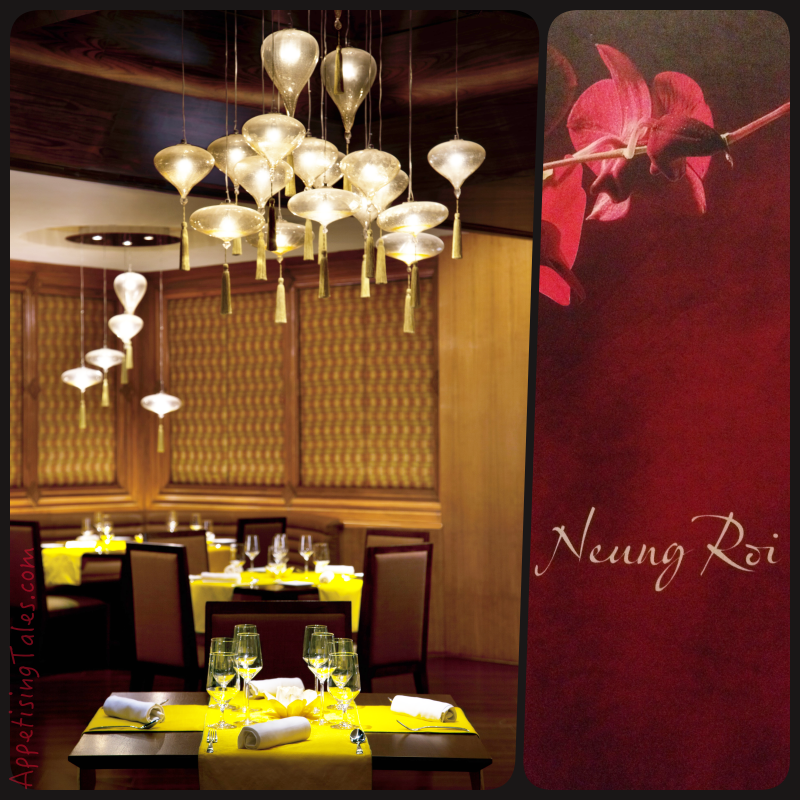 This is my first visit to Neung Roi and I decide to go with the chef’s choice. My leisurely meal thus starts with a choice of salads. From the vegetarian options we are served the Yam Som-O, which is a pomelo salad with crispy onion, garlic and palm sugar tamarind dressing, and the Phad Tuea Hrong or wok fried tofu, bean sprout and chives with soya sauce. Both are delicious and the pomelo salad packs quite a punch and is a welcome change from the usual raw papaya/mango salad. For non-vegetarian, we are served the Krachai Gab Goong, or stir-fried prawn with wild ginger and shallot; it is a little bland for my liking. The Gai Louis Suan or deep fried chicken breast with shallot and peanuts is more flavourful though. Then comes the soup - Tom Kha Gai. While I usually go for the prawn version, this chicken and coconut milk broth with mushroom, coriander, kaffir lime and galangal is fresh and fragrant and showcases a beautiful flavour balance. Right Top: Wok fried tofu, beansprouts and chives; Right Bottom: stir fried prawn. Amongst the mains, it is difficult to choose a favourite. 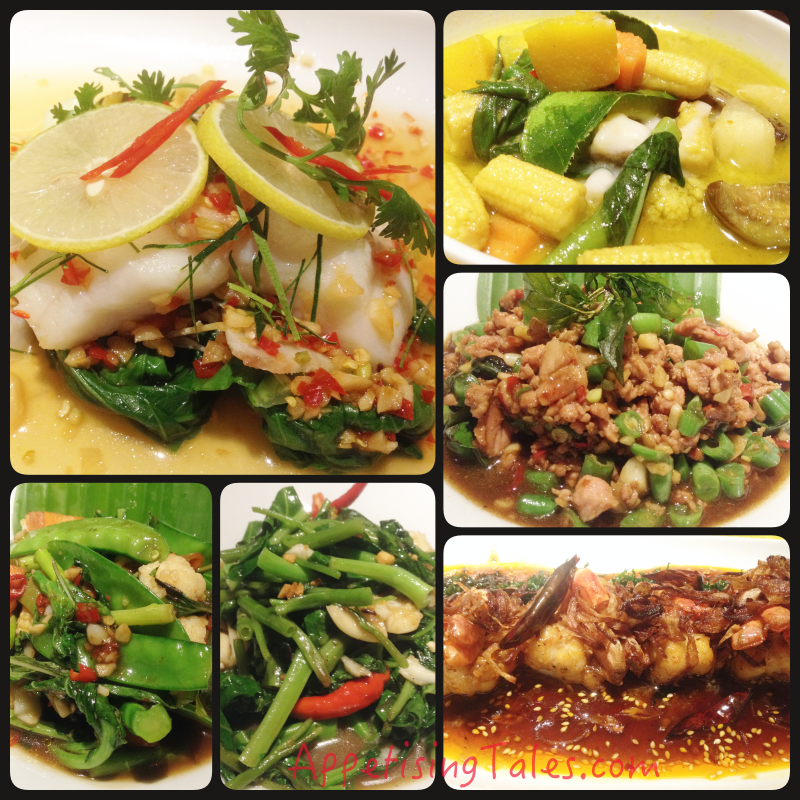 I especially appreciate chef’s selection of dishes that include two vegetarian and one each of fish, prawn and chicken. Pla Neung Manao is steamed fish with a mildly flavoured but delicious lime chilli sauce; Goong Thod Ha Rod is fried prawn in a home made five flavour sauce and fresh coriander. The rich sauce highlights the winning combination of tamarind and palm sugar, and even though I eat it with a fork, it is finger licking good! And then there’s the universal favourite Gai Kraprow or minced chicken with long beans, hot basil and chilli. Even though I start with these fantastic dishes, the vegetarian fare is as delicious if not more. The Phad Pak Kiew is fantastically stir-fried kale with morning glory and pokchoy that is enhanced with soya bean sauce and garlic and pepper. Mixed vegetables in Thai green curry or the Gaeng Kiew Wan Pak is what makes me realise the difference between this restaurant and the others that serve Thai in Delhi. The green curry is thin, almost watery, and very flavourful. You will not find heavy coconut cream in this. And that is just the way it is supposed to be, says Chef Yenjai. 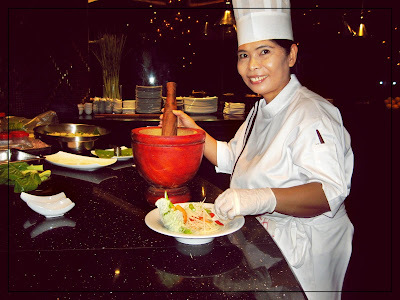 “Traditional Thai curry is not thick and creamy,” she informs. The only exception to traditional recipes is that Chef takes special care to ensure that no fish sauce or chicken stock is used in vegetarian dishes. “Only when I came to India I learnt that vegetarians consider fish and fish sauce to be non-vegetarian. That’s why in my initial days here I never understood when people asked me if something was ‘vegetarian’,” she chuckles. and pokchoy; Stir-fried vegetables in hot garlic sauce. Khao Niew Mamuan or sticky rice with fresh mango and coconut cream. If you ask me to recommend one out of these it would have to be the last one. One can never go wrong with fresh mango, after all. 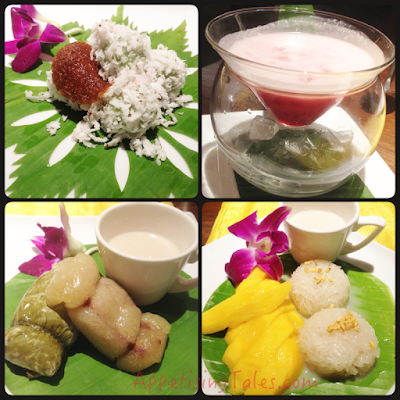 and, banana leaf wrapped steamed banana and sticky rice cake. 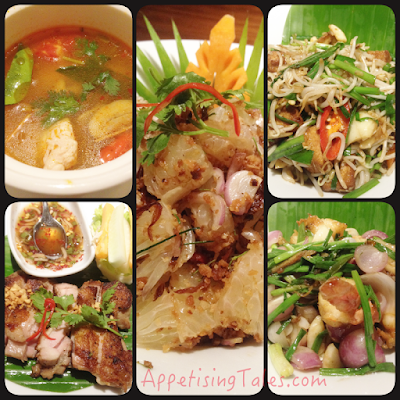 If you really want to taste authentic Thai fare, ignore the traffic or the ambience of the hotel that it is housed in and head to Neung Roi. You’ll be very pleased with the food. 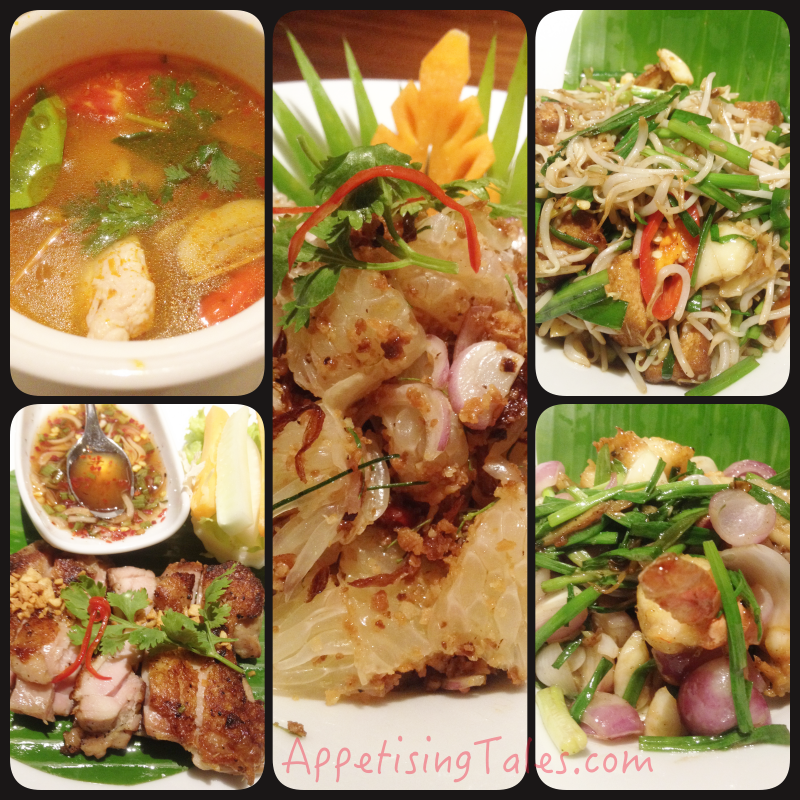 And while you’re waiting to be served, do go through the menu, it offers an interesting read on Thailand – about its culture, varied regions and their culinary differences. Timings: 12 noon – 3pm; 7pm – 11.45pm. Prices: Starters Rs 400 onwards; Mains Rs 600 onwards; Desserts Rs 250 onwards.